Have you been wanting to upgrade your vehicle for quite some time, yet you are not quite sure if you will be approved for a loan? You should know that when you work with Carson Cars, you will have the ability to get a loan in-house for your choice in used GMC cars for sale in Seattle at great prices. All you have to do is stop by the dealership and take a few different options for a test drive. Carson Cars has a vast selection of vehicles that you can browse through until you find one that you absolutely fall in love with. As a matter of fact, they guarantee that there will always be at least 200 vehicles in stock that you can shop from at any given time. It is this kind of selection that has made Carson Cars one of the top dealerships in the area. Of course, buying a vehicle is always going to be easier when you have a team working for you that makes you feel at home. The award winning customer service team at Carson Cars has been pleasing customers and has taken the top spot for excellence several years in a row. This is just another thing that makes your buying experience a great one when you make the effort to shop with Carson Cars. 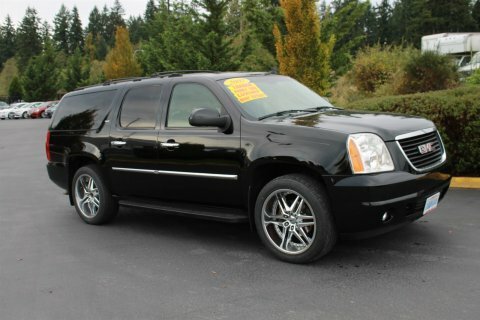 Buy your next vehicle with Carson Cars and shop used GMC cars for sale in Seattle. Call us (855)583-9356 today for selection and pricing information. You deserve to get a great price on a used GMC and the team at Carson Cars will be happy to show you what it means to work with an award winning dealership.